The links in my blog stop working after 30 days. It is highly annoying but there is nothing I can do about it. Therefor here is a new post with the lowest priced of everything. It does not happen often after 12 years in Real Estate in the Keys but today it did: I was at a condo complex I had never been to before and I was impressed! 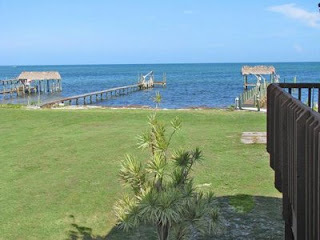 This is such a perfect place for the avid Angler to whom fishing criteria are the single most important factor when choosing a piece of Real Estate in the Keys. This compex is located on the Ocean side on Lower Matecume. Common elements of the complex are: very protected dockage for a boat up to 26 feet, a boat yard for trailer storage, a garage (Yes! A Garage! ), a heated pool, tennis courts, a large pretty vacant lot on a canal for barbecues etc.., two fish cleaning tables all right across from your one bedroom unit across the very quiet street! The unit is turn key: This means you do not have to bring anything: Everything stays from furniture to pots and pans! Depending on the price this boat can be included in the sale: a 2001 (purchased new in 2002) 22 foot Angler Grande Bay with T-top, rod holders, etc. It is powered by a 150 hp Yamaha Saltwater Series II engine with less than 300 hrs usage. The boat is equipped with VHF radio, GPS and depth finder, trim tabs and swim platform. Comes with all Coast Guard equipment and just passed a Coast Guard Safety Check for 2009. An aluminum tandem trailer is included. Considerable fishing gear can also be included if desired. This is the one to buy! Under Contract! 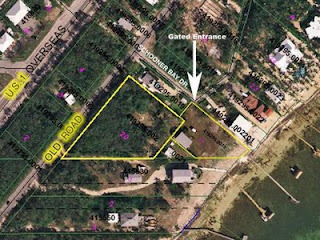 It is an open ocean property on 'Millionaire's row' in Islamorada. 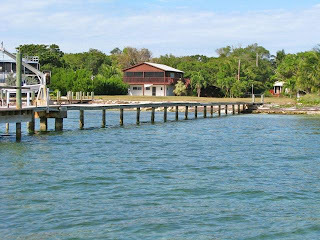 The lot is 1.7 acres with dockage and a boat ramp. Zoned 'Residential Estate' which City says allows for new estate-style home with separate guest cottage or caretaker's home up to 1200 sf. 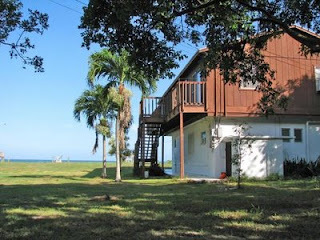 Current home is 2/2 down & large 1/1 up with open ocean views. Gated entrance. 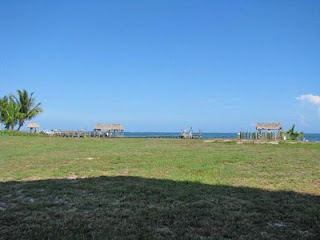 Rare oceanfront acreage. Please call 305-393-0923 or e-mail me: Wiebkewestedt@aol.com with any questions or for a showing! As usual here is all Sales activity for the month of February.